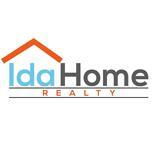 Idaho American Dream Realty- Magic Valley/ Southern Idaho, Twin Falls and surrounding areas. Along with being a Realtor/Broker I am also the mother of 4 very busy girls. If you are new to the Magic Valley, I can get you all the information on sports, dance, drama, city leagues, AAU teams, advanced scholastic clubs and just about anything else as we are involved with them all. I joke about the fact that I am a Realtor from 8:00 to 3:15, Taxi Driver from 3:15 to whenever, private chef on the weekends, that is when I make all the meals for the next week, tutor, house cleaner and yes of course last but not least a wife. I believe that my life skills are what make me a great Realtor. I know and love the Magic Valley as it has been my home for most of my life. I do have hobbies that I enjoy such as gardening, that does not mean I do not have weeds,!!!! My husband and I enjoy running, biking and skiing when we can find the time. My best asset is my time management, I make every minute count. My clients love the personal service and the time I give them to make sure every aspect of the home buying or selling process goes smoothly. I also pride myself on the fact that you can reach me or one of my partners at most any time, “Blue Tooth is a wonderful thing”. I love that my career as a Realtor allows me to do 2 or maybe 3 things at once!! If my clients have questions at 10:00 at night I hope they would feel comfortable enough to call or text me so I can help them get a good night sleep. As the Broker/Owner of Idaho American Dream Realty I have the opportunity to run the kind of real estate office that I would want to buy a house from. We consider ourselves a “boutique office” small enough to know all of our clients as friends but large enough to have all the latest technology, know all the new trends and have time enough to put the perfect plan in place for you. I can’t do all of this by myself so I am so blessed to have a great staff that works to make sure all your needs are met. Enough about me…email or call us and let us know what you are looking to do and we will get to work. This is where action speaks louder than words kicks in. I hope to work with you soon.